A chiropractic adjustment or manipulation is the quick movement of a joint to restore or improve its function, which reduces inflammation and decreases the patient’s pain. Adjustments are typically performed with the chiropractor’s hands or an instrument. Chiropractic manipulation is a very precise yet gentle procedure that rarely causes discomfort. Adjustments are tailored to address the unique needs of each patient and patients often notice results immediately. An adjustment of a joint causes the pressure within the joint to rapidly change, which results in the formation of gas bubbles inside the joint. The popping sound is just the gas being released from the joint. There is often no discomfort with the adjustment and if there is, it is minimal. Why do I have to keep coming back for treatment? Adjustments are performed manually by the chiropractor, which requires treatment to be done in a chiropractic clinic. Treatment plans vary in length from 4-8 weeks for acute conditions, to 6-12 months for severe chronic conditions. Studies have shown that regular preventative chiropractic treatment once every 4-8 weeks can reduce arthritis and prevent injury. After our first session, we will have a better sense of your treatment needs and the extent and length of recommended treatment. 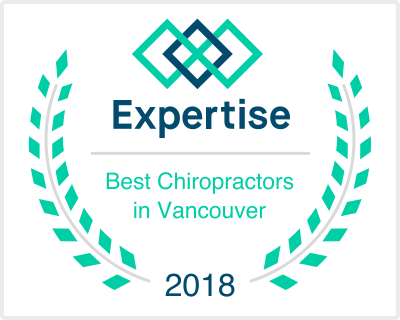 A referral is usually not needed to schedule an appointment with one of our Vancouver based chiropractors. Please contact your insurance company directly to find out if your plan requires a referral or to check your chiropractic coverage. You may also call our office at (360) 693-3030 and our staff can check your coverage, or answer any other chiropractic related insurance questions. Do insurance plans cover chiropractic services? Yes. Chiropractic care at Cooper Chiropractic is included in most health insurance plans, including major medical plans, motor vehicle insurance-PIP, workers’ compensation, and Blue Cross Blue Shield plans for federal employees, among many others. Our Vancouver, Washington Chiropractic office is a preferred provider for most major medical plans. If you’re having trouble verifying your insurance, please call our office and our staff can answer your questions and address any insurance concerns. If you do not have insurance, please don’t hesitate to call our office and ask about our time of service discount rate. Our chiropractors received 4 years of pre-medical undergraduate college education, including courses in biology, inorganic and organic chemistry, physics, psychology and related lab work before attending Chiropractic College. The Doctor of Chiropractic curriculum consists of 4 to 5 academic years of professional study in orthopedics, neurology, physiology, human anatomy, clinical diagnosis including laboratory procedures, diagnostic imaging, exercise, nutrition rehabilitation, and more. A significant portion of time is spent in clinical technique training to master manipulative procedures because chiropractic care requires highly skilled manipulation/adjusting techniques. In total, the Chiropractic College curriculum includes a minimum of 4,200 hours of classroom, laboratory and clinical experience. The course of study is approved by an accrediting agency that is fully recognized by the U.S. Department of Education.